125 years of motorsport with Mercedes-Benz - The "Ockhuisen" Mercedes-Benz Collection. Mercedes-Benz Classic: 125 years of motorsport with Mercedes-Benz. In July 1894 the world’s first car race takes place from Paris to Rouen. And so begins the successful motorsport history of Mercedes-Benz. The two winning vehicles are powered by an engine developed by Gottlieb Daimler and Wilhelm Maybach. For 125 years engines and vehicles by Mercedes-Benz and its predecessor brands have ensured countless triumphs. In this anniversary year Mercedes-Benz Classic is publishing newsletters dedicated to the various formats of motorsport at regular intervals. Stuttgart. 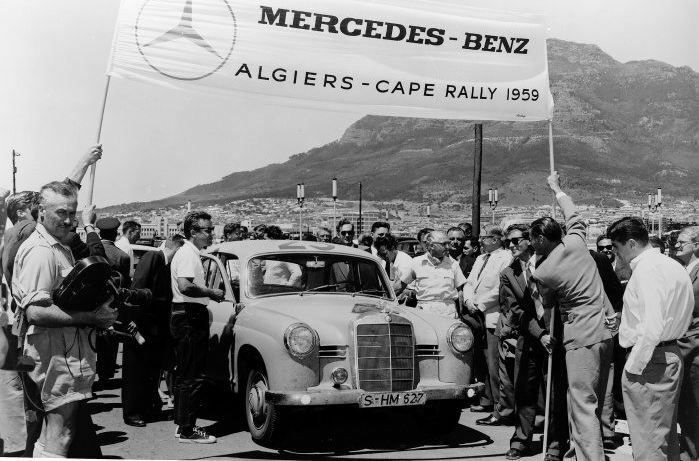 From the first ever car race in July 1894 to the latest involvement in motorsport: the racing activities of Mercedes-Benz and its predecessor brands tell a success story that has its roots at the early time of the car. Since the 19th century the racing and rally cars have always been right at the forefront of sporting competition. Their successes exemplify innovative technology, the irrepressible will to win of the drivers and excellent teamwork. No other brand has had the topic of motorsport enshrined in its DNA for as long or as intensively as Mercedes-Benz. Outstanding moments in racing history of the brand include the successes in the world’s first car competitions in 1894 and 1895, the win of the first Mercedes at the Nice Week in 1901, the triple-win of Mercedes at the Grand Prix of Lyon in 1914, the successful time after the introduction of compressor cars in 1922 and, above all, the era of the Silver Arrows in the 1930s and 1950s as well as many successes at rallies and record drives. Current wins such as the five consecutive Formula 1 Drivers’ � and Constructors’ World Championships or the win of the Drivers’, Teams’ and Manufacturers’ Championship in the DTM 2018 as well as regular wins in customer sport continue the success story. In Formula 1 Mercedes-Benz is taking part in the tried and tested constellation. The new vehicle will be celebrating its world premiere on 13 February 2019. In Formula E two fully electrical Silver Arrows will be starting as of the 2019/20 season. – The next motorsport newsletter is set to be released on 26 February 2019 and will focus on the successes of Mercedes-Benz in Formula 1. 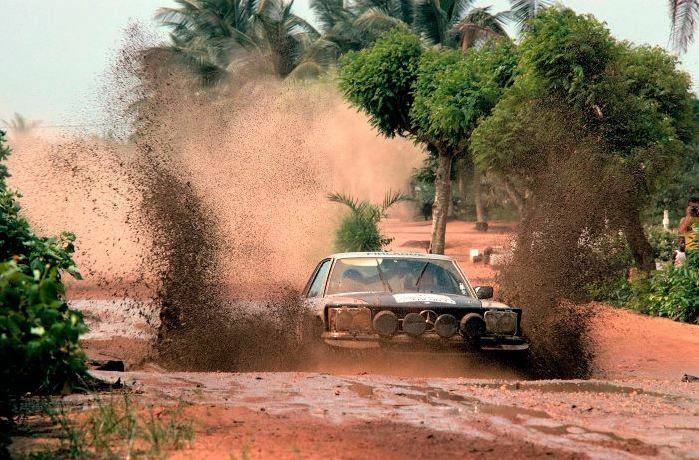 The SLC can do it: the eventual winners Hannu Mikkola / Arne Hertz (start number 6) with a Mercedes-Benz 450 SLC 5.0 rally car during the 11th Bandama Rally, Cote d’Ivoire, December 9 – 14, 1979.